It’s that time again, another 365 days has come and passed. 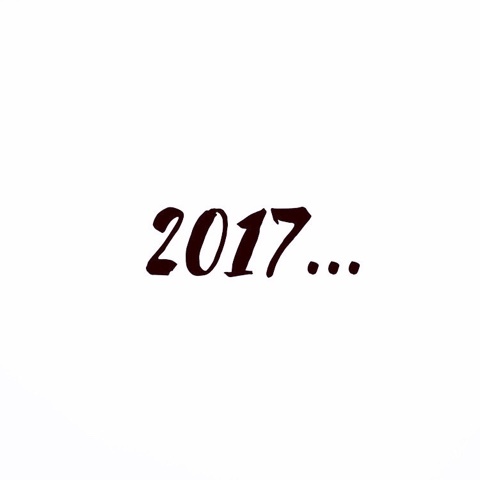 Every year it seems as if the year has gone by so quickly and yet although I can’t believe 2016 is ending so soon, I definitely feel the world and I need a fresh start that 2017 will bring! Every year we make New Year’s Resolutions of what we hope to accomplish in the new year and while there are a few determined souls that actually stick to theirs, most of us already have either broken or given up before Groundhog’s Day! Most of the time, I know when I make New Year’s Resolution I always have a little thought in the back of my head that I won’t really accomplish them, but it’s the thought that counts… well this year feels different! By writing my resolutions and sharing them with you all, I feel as if it will keep me accountable and really help me accomplish my goals for 2017! 1.To stop doubting my abilities and trust my educational background and skills and take the MCAT. To be honest, I probably should have taken the MCAT a while ago but somewhere I lost confidence in my science ability and became afraid of a test that would “determine” whether I or not I go to medical school. *update I’ve pushed my test date back to April* I have realize it’s just exam, the right answers are on the page, and if I don’t get the score I want, I can try, try again! 2.This resolution falls in line with my first one: To stop being afraid of rejection and apply to Medical School. I’ll never know until I put myself out there! 5.Treat myself at least once a week… I know I just said that I’m trying to save for a trip and pay off my credit cards, but I want to treat myself to something small at least once a week. We all need a pat on the back from ourselves! 6.Organize my house and immediately put things back where they belong when I’m finished with… some of you may already do this but I live in organized chaos and I really want to just organized peace! 7.Become a conversational speaker in Spanish… I took Spanish for 8+ years and even placed out of it for college, but haven’t studied it since my senior year in high school. I’m pretty good at reading and writing, but I can barely hold a 2 minute convo with a native speaker and although I can pick out a few words, I feel like too much of a fraud to try to actually speak it myself. I know it takes years to become fluent and nothing is like full immersion, but I hate that all knowledge has gone to waste and want to use more of Spanish in my everyday life! 8.Find a piece of beauty and happiness in each day and record it. I’ve never been a big fan of journaling but this year I really want to appreciate something good in each day and make sure to write it down so in 365 days I can look back and realize just how wonderful 2017 was! If you ever wondered what Aud Lang Syne means, it translates to Times gone by in Scottish! Hope you all have a start to the new year filled with Happiness, Joy, Gloss and of course a pop of a Champagne Bottle!